DOLLY AND HER GIRLS ARE BACK. AND THIS TIME IT'S A FIGHT TO THE FINISH. Against all the odds, Dolly Rawlins and her fellow gangland widows managed the impossible: a heist their husbands failed to pull off - at the cost of their lives. But though they may be in the money, they're far from easy street. Harry Rawlins isn't dead. He knows where the four women are and he wants to make them pay. And that doesn't just mean getting his hands on the money. He's planning a more permanent kind of payback. Dolly and the girls can't keep running. They have to get Harry out of their lives for good. But can they outwit a criminal mastermind who won't hesitate to kill? Especially when one of them has a plan of her own . . . 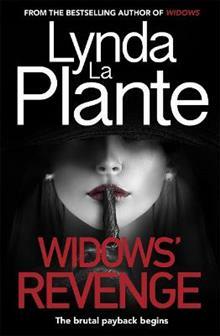 The follow-up to Lynda La Plante's groundbreaking thriller, Widows - now a major feature film.